Once again I wore a floral dress because, well, I can't stay away from this print no matter if it is summer, fall or winter. This is an all seasons dress custom made at EShakti. 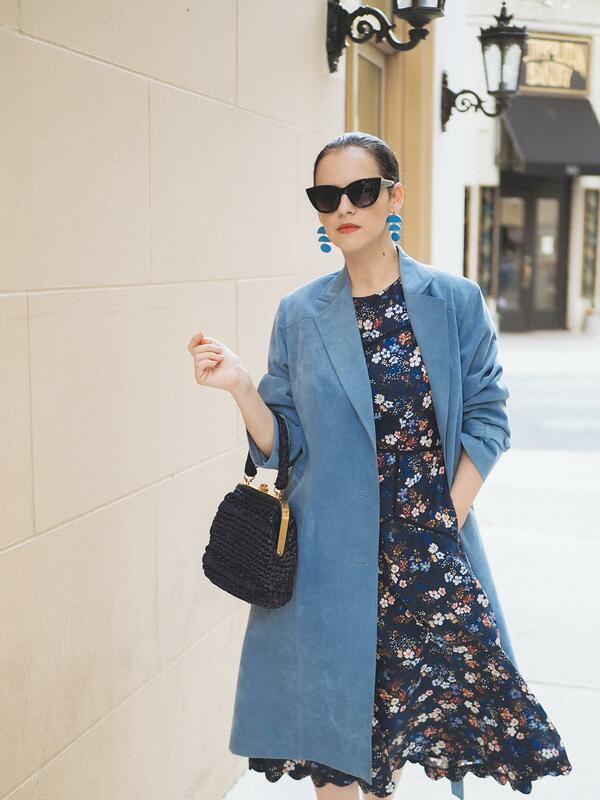 This time I wore it with a light suede coat and a pair of geometric earrings, all in shades of blue. I am sure you are going to see this dress again soon in a different color combination. Can you guess what I have in mind for the next color combo? I can tell you that it's a classic one!